Samsung has already announced their new flagships for this year, the Galaxy S6 and Galaxy S6 Edge. These two devices were unveiled back in March, and are currently available for purchase more or less all over the world. That being said, Samsung still has to release their flagship phablet this year, the long-awaited Galaxy Note 5. We’ve been stumbling upon various rumors regarding this thing, some of them were saying that it will follow its predecessors, and launch in September during IFA, while others said it will arrive soon than that. Samsung’s executive actually said a while back that the Note 5 will arrive when it usually does, but a recent rumor said Samsung plans to change that due to the release of the new iPhone. As you probably know, Apple will unveil their new smartphone after IFA in September, and Samsung reportedly wants to avoid that and steal Apple’s ‘thunder’ by releasing the device sooner than expected (most likely August). Take these rumors with a grain of salt, of course. Now that we got that out of the way, let’s focus on the newly leaked info, shall we. 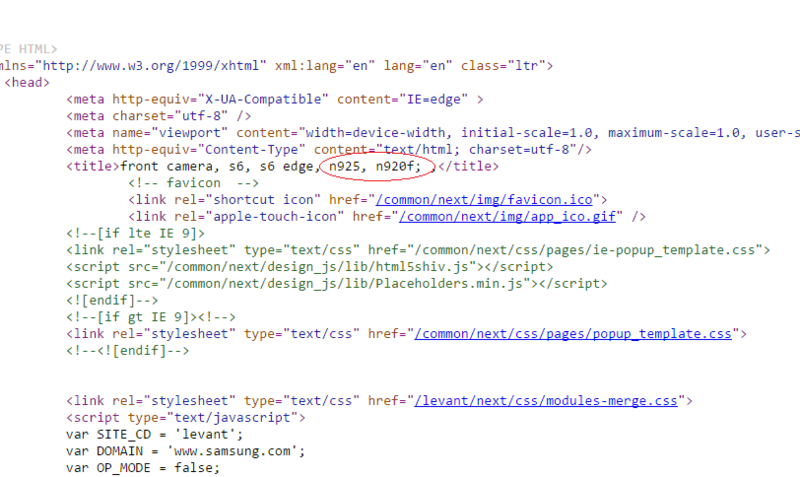 The source was able to dig up some Galaxy Note 5 reference from Samsung’s official website, from the HTML code that is. If you take a look at the image down below, you’ll notice that the ‘N920′ and ‘N925′ are listed in the code. Well, these two models are reportedly the Galaxy Note 5 and Galaxy Note 5 Edge which have been rumored a number of times before. This info has been pulled from Samsung’s official support page, which you can visit by clicking the source link down below. The Galaxy Note 5 is said to sport a 5.67-inch QHD (2560 x 1440) Super AMOLED display along with 4GB of RAM and multiple storage variants. The device will reportedly be fueled by Samsung’s new Exynos 7422 64-bit octa-core processor, which will include a GPU, RAM, storage and Samsung’s Shannon LTE model. Rumors have also said that the device will ship with Android 5.1 Lollipop pre-installed with Samsung’s TouchWiz UI on top of it. The 4,000+mAh battery has also been mentioned on several occasion, and the device will reportedly be made out of metal. 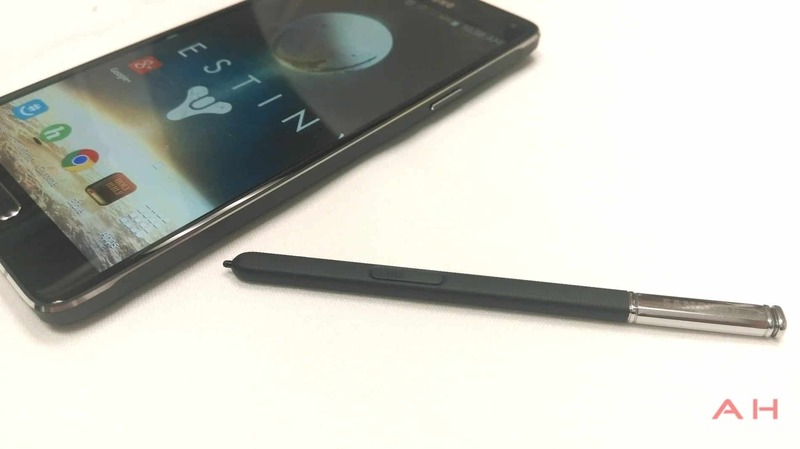 The post Samsung Galaxy Note 5 Model Number References Surface appeared first on AndroidHeadlines.com |.